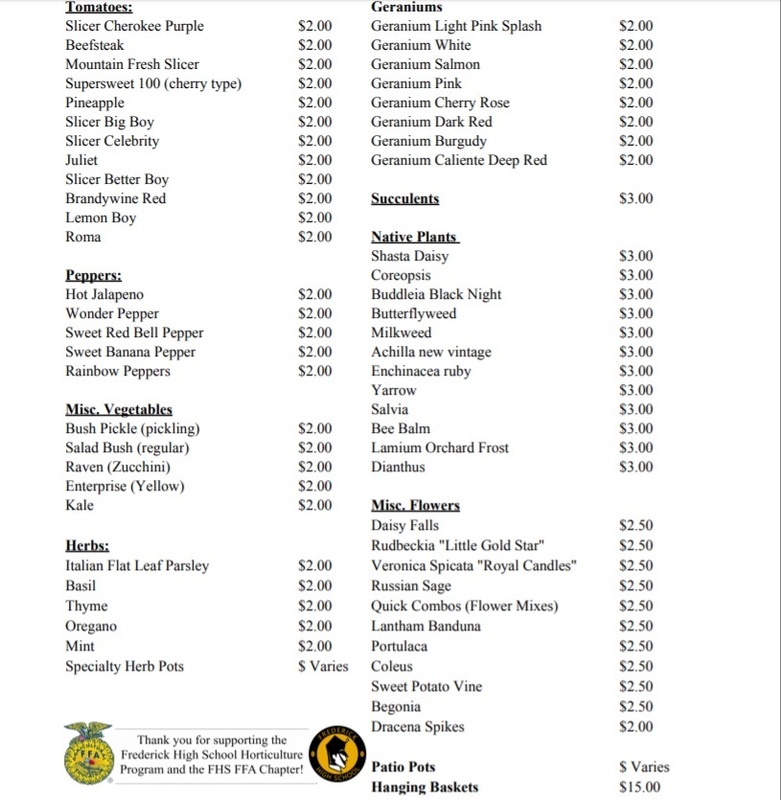 Frederick High School has announced their annual spring plant sale. The greenhouse will be open to customers April 27th & 28th as well as May 4th & 5th from 10am to 4pm. Below is an offering and price guide for this years sale. Each plant in our greenhouse has been planted and cared for by our horticulture students and our FFA members. All proceeds go towards support of those programs.